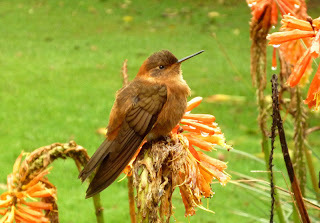 In the morning damp, Gretchen found a hummingbird lying on the cold stones of our front patio. At first, we thought it dead, but when I picked it up, it quivered, its long peak twitching, thirsting for nectar. For a moment I didn’t know what to do, but then I remembered that God kept his eye on the sparrow. 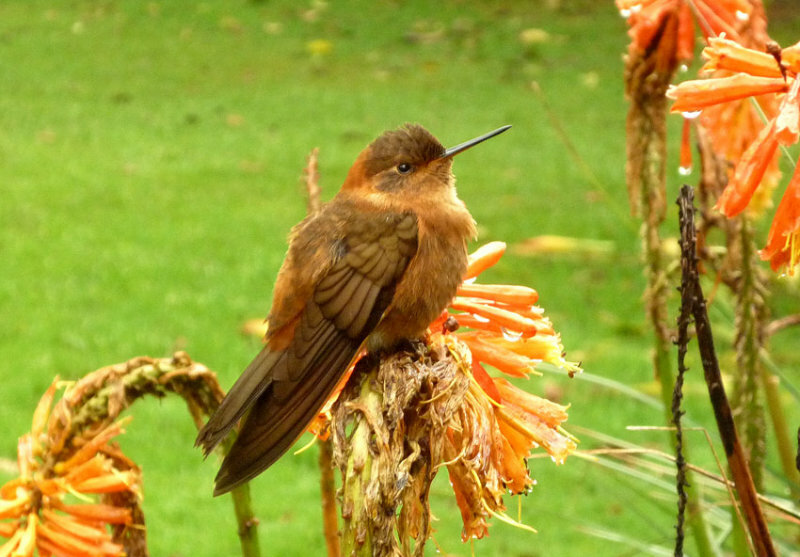 The hummingbird was beautiful with a bright bronze breast, a miniature Roman centurion. I took it off the cold stone and placed it in the sun on our deck in the backyard. It ruffled its wings and flew off. We were jubilant. Shortly, Gretchen saw it lying on the ground below the deck. I brought it back to the deck to warm in the sun, and Gretchen gave it a cap full of nectar. There was no movement. The bird was dead, and I buried it in our garden amidst the peonies, a butterfly bush, and larkspur with enough nectar for the flight into the next world. We wondered why we were so moved at the death of a bird. It brought to mind our helplessness at the death of our mothers. We began Sigmund Freud’s “free association” and William James’ “stream of consciousness.” Gretchen first mentioned the death of her mother and that brought to mind the death of my mother. Gretchen’s mother died just short of her 96th birthday after she had eaten breakfast and had decided the time had come to finish her journey on earth. She wanted to die alone, having made it clear to Gretchen that she did not want nurses hovering around her bed or Gretchen making a special trip for her parting. Alfred North Whitehead’s said that religion is what individuals do with their solitariness. She wanted to die in God’s presence in her solitariness. Then began a flood of associations, the death of my father of leukemia at 58, my grandfather of gangrene at 85, my brothers of cancer at 65 and Altzheimer’s at 95, and then a long line of parishioners with whom I had kept vigil at their deaths, children, adolescents, adults in their prime, and the old. The overwhelming sense was a dumbfounding helplessness. Whitehead was right. A solitary journey into a Void, the Void of God, it’s a silent journey of faith. What remains for the living is grief, the immense sadness of loss, an experience for which there are no words, as Saint Paul said, “with sighs too deep for words.” Grief is an experience which, too, is ultimately solitary and a journey of faith into that Void. I’m baffled about what people mean when they say “closure.” I think they mean nothing at all, except that having spent their life denying the Void and the helplessness of their own grief, they fill their emptiness with chatter. There is no closure. If there were, we would be nothing more than machines with interchangeable parts, automatons without heart and soul. The death of those who bore us, nurtured us, and abided with us is far more than the death of someone out there disconnected from us because our lives are intertwined. More than a being, we are a becoming, and for that there are no closures, only openings. It doesn’t take much to find openings to the depths. All it takes is the death of a bird.